Thanksgiving is almost here which means the Gingerbread Man will be visiting our classroom as soon as December arrives. 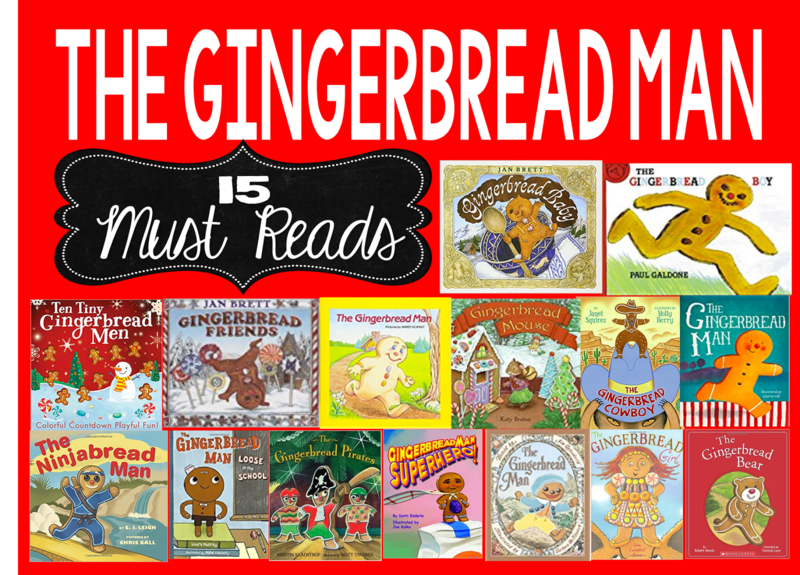 With so many Gingerbread Man books available, I barely have enough time to read all of them. Each year I seem to find another book to add to my collection. Now We can't read all these great stories without ending with A Gingerbread Man running through our school. Every year. My class receives a gift. 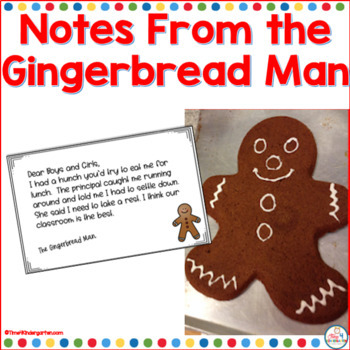 Inside is a freshly baked Gingerbread Man with a note reading to eat him after snack. However, when we return from snack- he has leapt from the pan and is nowhere to be found All that is left are a few crumbs and a note. We follow the trail of notes through our school which eventually leads us back to our classroom where we find him taking a nap. You can find this resource in my TpT store here. With all of these books and talk of Gingerbread- now I'm a bit hungry. 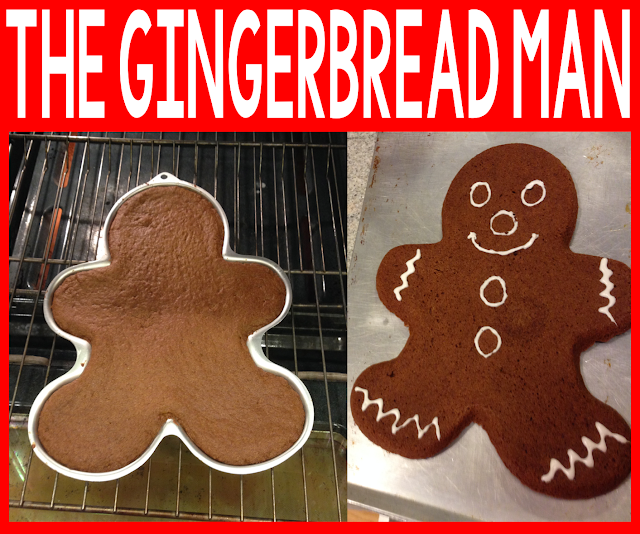 Maybe I'll make some gingerbread today. Have a great week. Oh, how fun! This is the first time I've seen a collection this large of "Gingerbread Man" books. I like the idea of creating your own mystery investigation plus the collaboration that is needed from other staff or volunteers to complete and have the surprising discovery with the kiddos!!!! Well it would be so nice to get the free gift card. I had already got some from the friends and the others that I won in the draws. I will be really happy to get another one to add to my wallet.